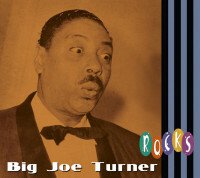 Tipping the scales in the vicinity of 300 pounds and well into his 40s when rock 'n' roll blasted into the mainstream consciousness during the mid-1950s, Big Joe Turner was probably the unlikeliest star of the idiom's primordial era. Elvis hadn't even made his debut on the planet yet when Big Joe's booming voice shook the walls of swinging Kansas City gin joints on a nightly basis. 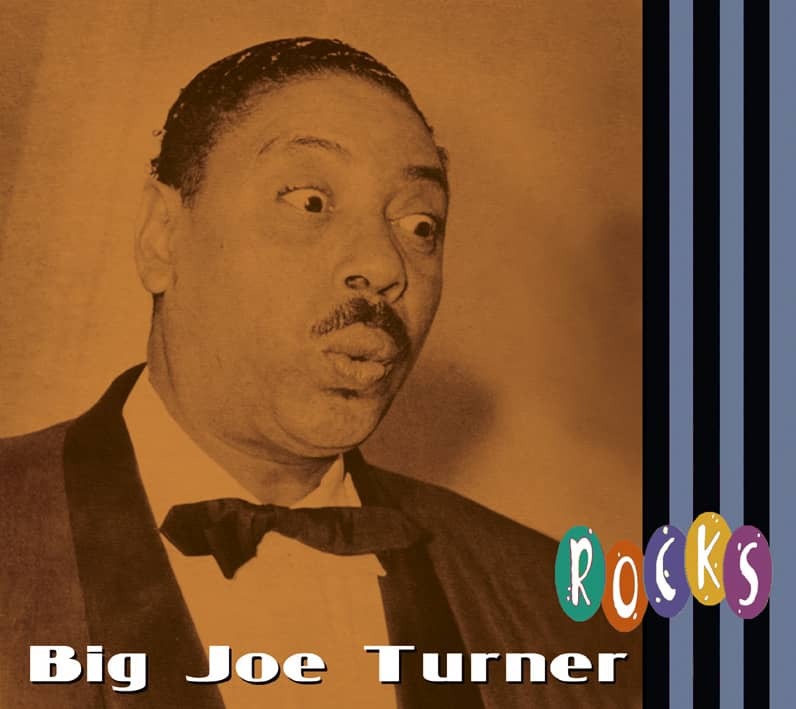 Roll 'Em Pete, Turner's 1938 boogie masterpiece with pianist Pete Johnson, anticipated the primal excitement of rock 'n' roll in its relentless rhythmic drive, and his horn-powered postwar jump blues helped lay the foundation for the musical revolution that would soon follow. Unlike many of his peers who sadly fell forgotten by the wayside upon rock 'n' roll's rise, Turner would actually profit from the shift in demographics. 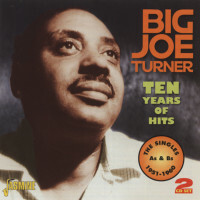 When Big Joe stepped up to sing, trivialities like microphones were an unnecessary luxury. During his formative years in Kansas City, it was said with no small degree of reverence that he could belt the blues from clear across the street while his band kept right on rocking the house where he originally counted the song off without the outsized singer ever missing a beat. It didn't hurt that the functionally illiterate Turner stockpiled a seemingly infinite storehouse of blues lyrics in his head that could be plugged into any song at any tempo. Big Joe was never more devastating than when he stood like an immovable mountain in front of a roaring bank of horns and a storming rhythm section, swinging like crazy on an open-ended up-tempo cooker that drove dancers and listeners alike into a frenzy. Kansas City's indigenous brand of blues differed considerably from the blues styles developed in other parts of the country in that many of its leading practitioners hailed from a strong jazz background. Another distinguishing factor was K.C. 's reliance on huge horn sections. 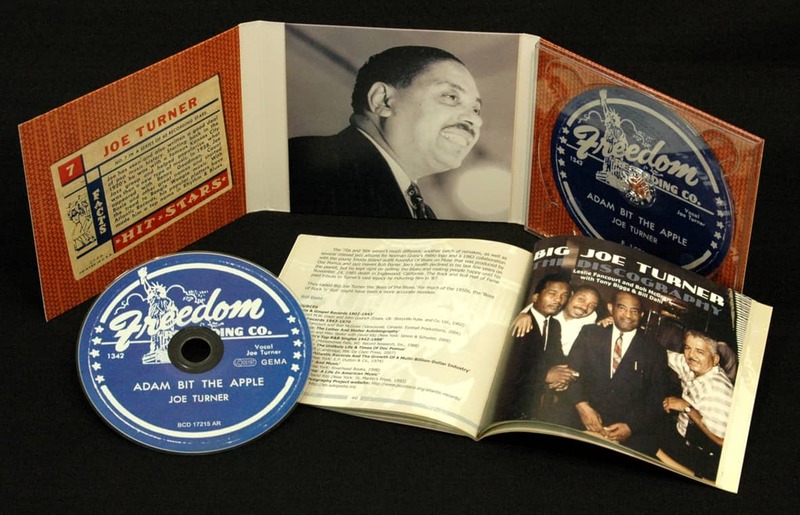 The city boasted an incredible array of influential big bands led by titans such as Count Basie, Jay McShann, Benny Moten, and Andy Kirk that deftly blended swing and blues into one irresistibly appealing whole. 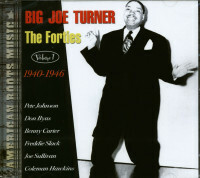 That Big Joe was exposed early and often to such jumping fare no doubt played an incalculable part in his development. Horns aside, all Turner really required for accompaniment was a masterful pianist. To that end, he partnered with Pete Johnson, one of the very best in town, early in his amazing career. Together they helped fuel a full-scale boogie-woogie craze when they took New York by storm in the late '30s. 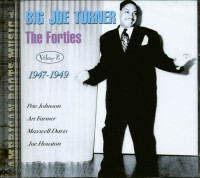 Johnson was no longer there to accompany Turner when the singer launched his second extended stint in the limelight during the early 1950s, but that unquenchable penchant for stomping boogies that he helped instill in his younger partner stuck with Big Joe like glue to the very end. Évaluations de clients pour "Ten Years Of Hits - Singles As&Bs (2-CD)"